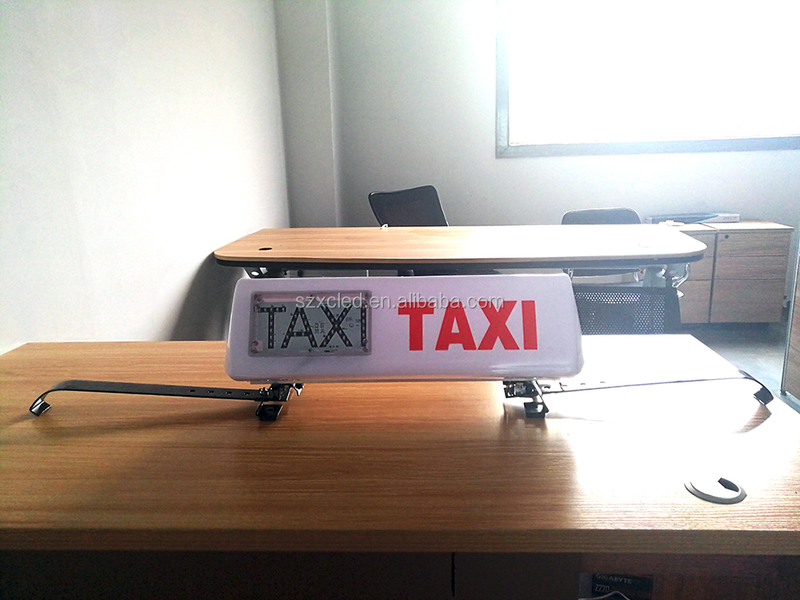 1.Used for the taxi roof outdoor. 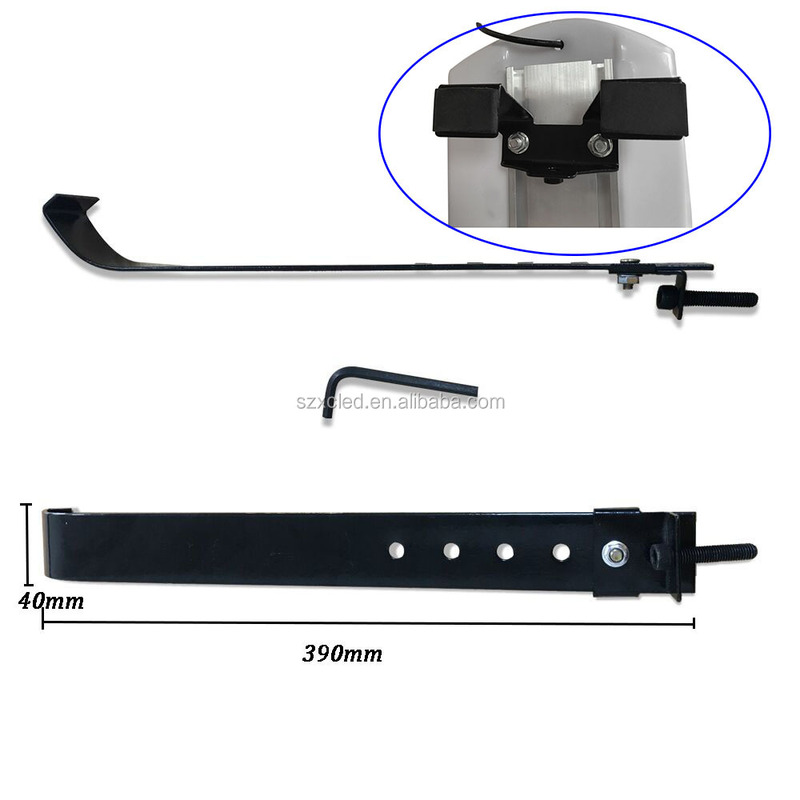 2.Hook for taxi roof and it does not hurt the car paint. 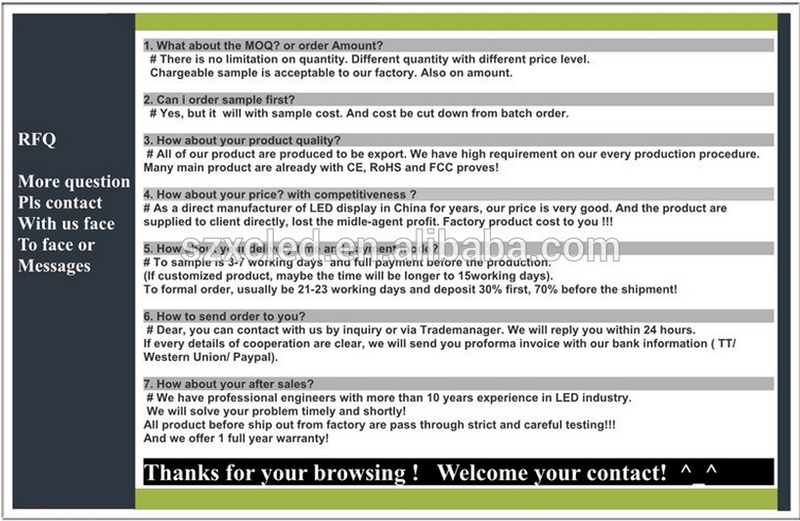 3.LED type: 3535 SMD high brightness LED. 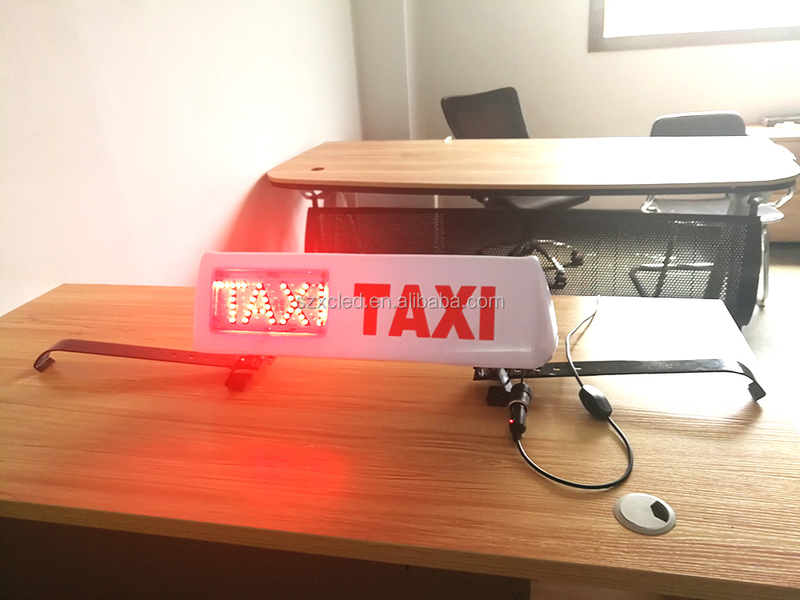 8.Power supply.12V 10W ,optional if 2.5 meters with a cigarette lighter plug supply to LED highlighting and save electricity. 9.Acceptable customized logo .different color.different font. Use one switch connected to the product by one cable. It has three grades. First is red, second is green, the last is Turn On/Turn OFF. 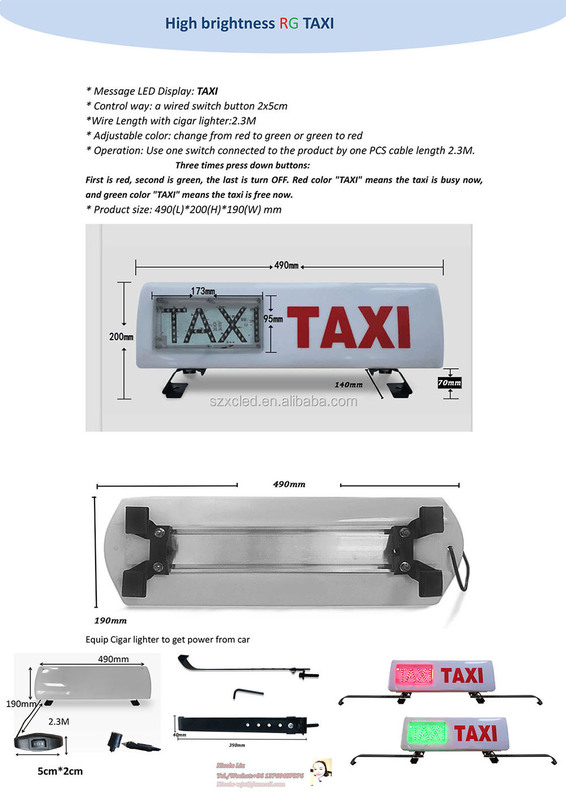 Control it from "TAXI" to "TAXI". Red color "TAXI" means the taxi is busy now. 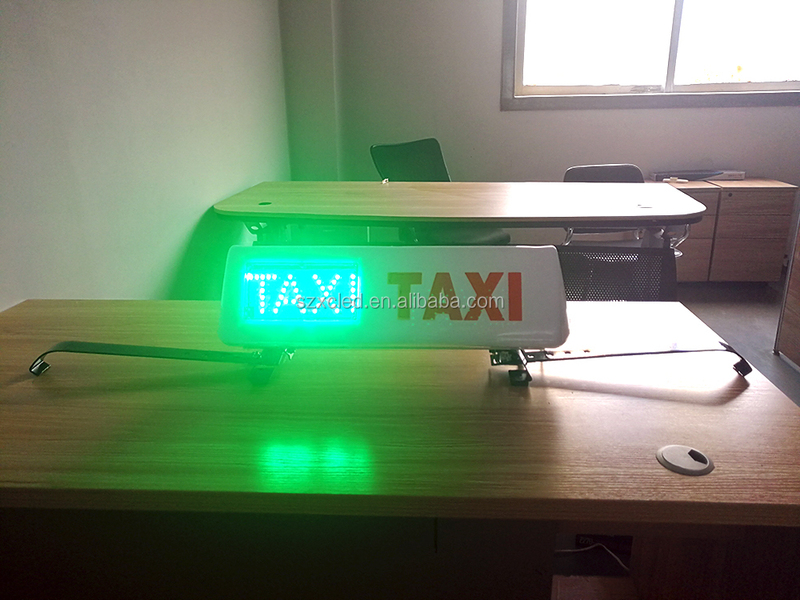 and green color "TAXI" means the taxi is free now. Price term :E.X.W not included the port charges. 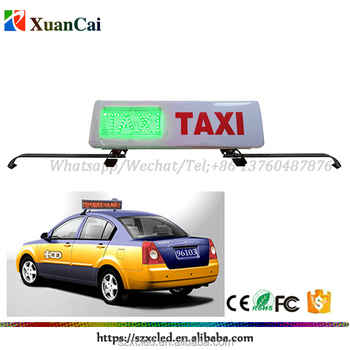 or FOB shenzhen or CIF ...etc, price is effective within one month. three ways usually pay via Company Public dolloes account charges USD20 more for each remittance. Paypal charge handling fee 5%more. Western union is for free fee. we just charge the additonal bottom price. 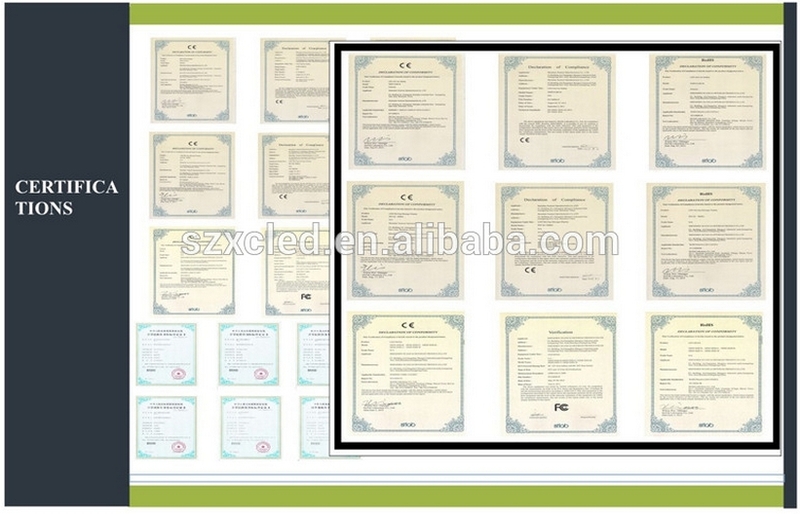 New structure modules fee :possible refundable for the bottom price from supplier if quantity reaches 1000pcs. 1.We can assist the training and technical support for the customer in the factory. 2.We could send our engineer to guide the installation for you. any additional expense are for the buyer. 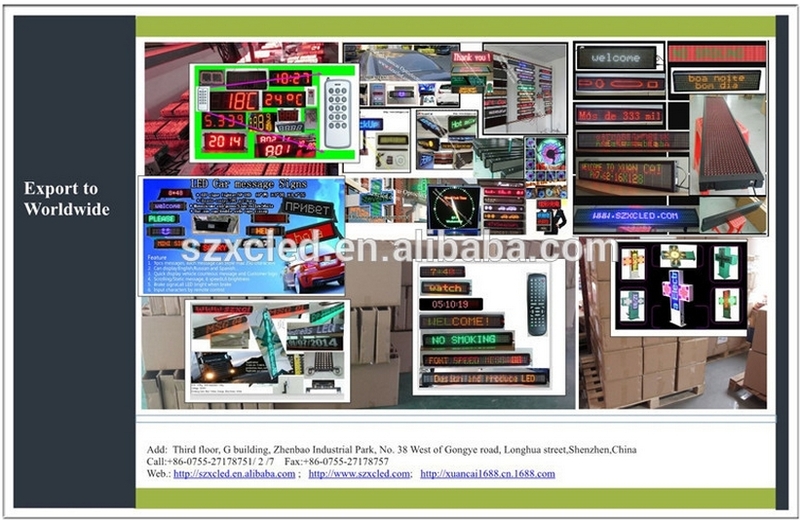 3.Our technicians will offer CAD Drawing to show how to install the LED Display rightly. 1.Preeminent effects: Programmable ,Clear and stable pictures without distortion and disturbance. string communication way, which can operate in different communication mode.wired or wirless worldwide. 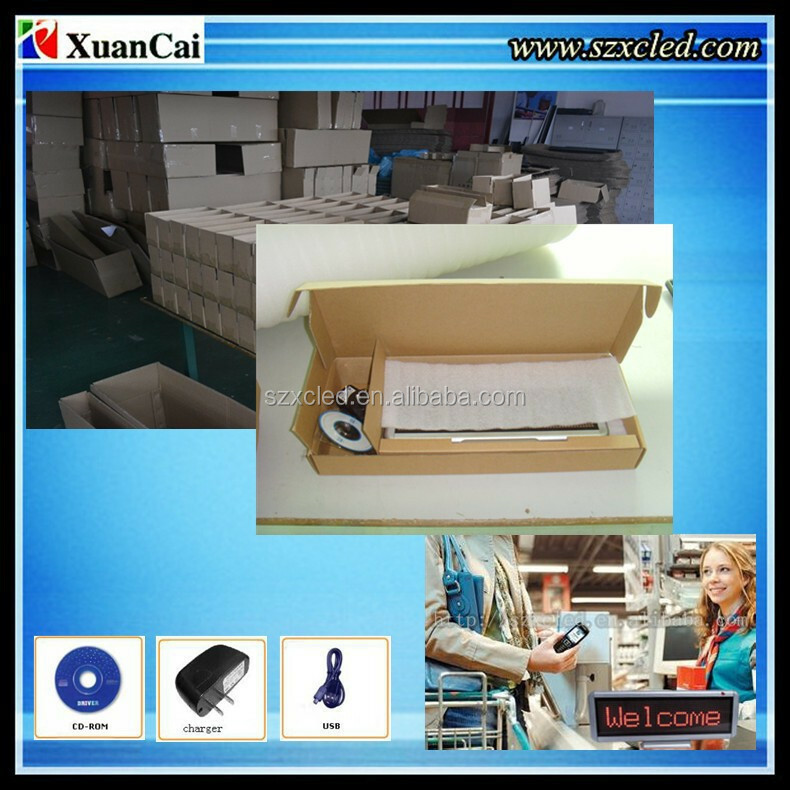 GPRS,SMS,GSM,3G,TCP/IP,RJ45,WIFI,RF,POE,Bluetooth,etc. 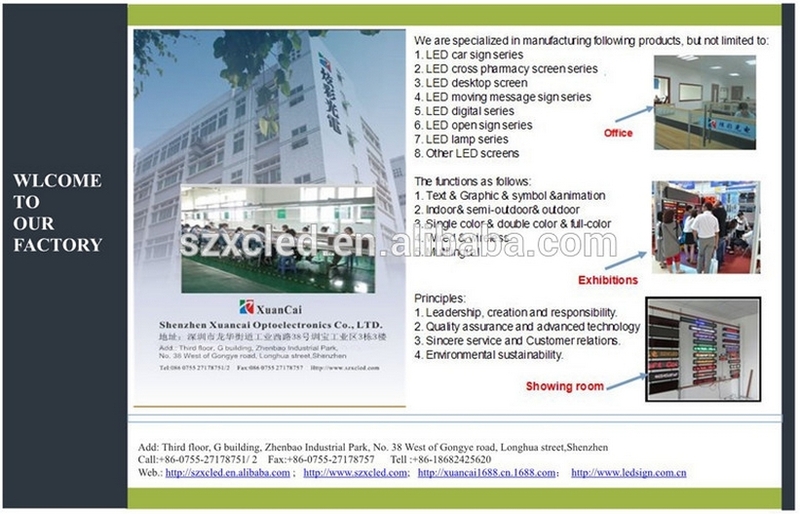 Shenzhen Xuancai Optoelectronics Co., Ltd. was founded in 2010. 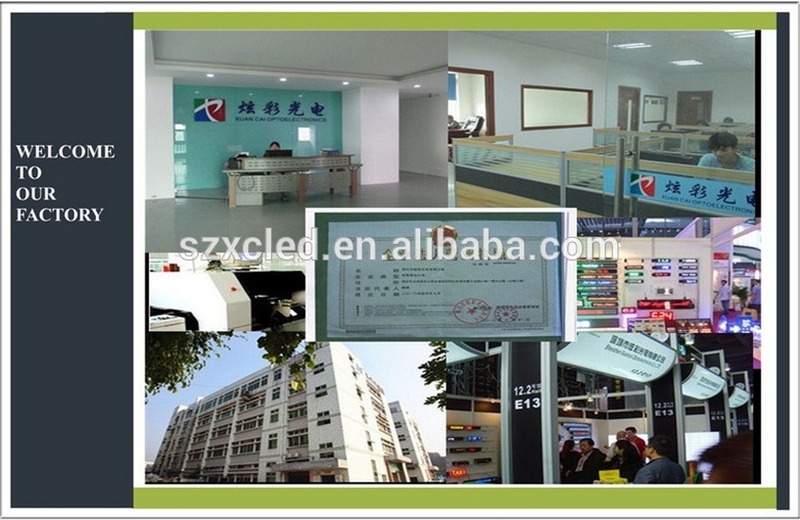 As one of the leading associated member of Shen Zhen professional manufacturer of LED products in China, We have powerful Research and developing team which has more than 10 years of experience in this LED sign industry. Advanced high precision mechanical equipment professional software and hardware engineers and strict production process support us to research and supply world-level high quality, featured and humanized products. 1. Leadership creation and responsibility. 2. Quality assurance and advanced technology. 3. Sincere and freindly service and Customer relationship. *24 hours prompt direct designer and Manufacturer not merchant and customerized being supported! * Perfect image and design,good quality and High Cost Performance! * Nice pre-sale and after-sale service can provide you worry-free shopping! No limitation on packing methods,etc. All are up to you only we can do!!!Showy!cool! Elegant!